Clear Formatting and Paint Format are often overlooked tools in Google Docs. 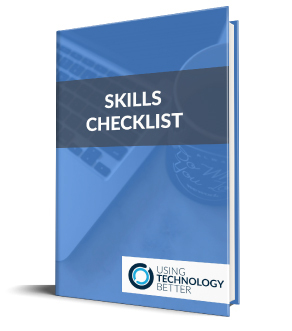 Once you know how to use them they will save you time when copying and pasting, as well as applying formatting across a document. Check out this quick video to see how this works in Google Docs. 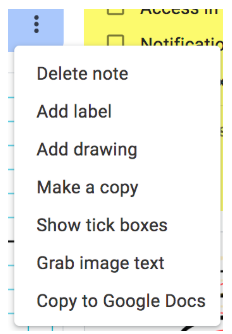 Haven’t tried out Google Keep yet? Only using it for the basics? The capabilities of this awesome tool to improve organisation and efficiency make it a personal favourite of mine. Google Keep allows you to capture your thoughts in multiple ways, sort them, share them and search through them with ease. A great tool for everyone whether you are a teacher, student or completely outside of education. 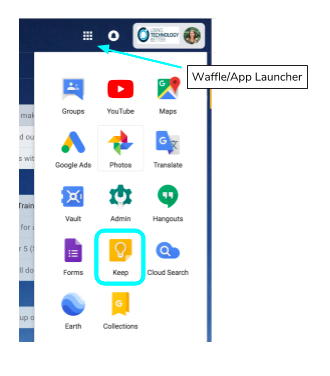 As Google Keep is part of G Suite you can get to it from your waffle, or by searching for Google Keep. You’ll need to sign into Chrome to access it. On your mobile, simply download the app. In the browser, you have three options of note types – list, drawing and image. If you are on the app (tablet or phone) you will see one more option – voice. This generates a check box for each item that you can check off when you are done. When you click it as done, it moves the item to the bottom of the note and puts a very satisfying line through it! The ability to draw and have this added straight to your notes is one of my favourite features of Keep. 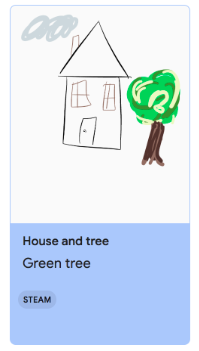 For students who are looking to express themselves visually, they can draw what they’re thinking then add info to it, or put it into a Google Doc (details to follow) and add to it from there. The image button allows you to upload any image files you have and turn them into a note. If you are on a device with a camera you can also take a picture. You can open image notes that you already have in Keep and draw on top of these too. Very cool for student annotation of maps or charts, to demonstrate their understanding. In the app you can also take photos directly into Keep – this is seriously useful for capturing notes, ideas, brainstorms, whiteboards etc and keeping them for later. If you take a lot of photos of your class then this is an awesome way to do it so that you don’t need to upload or transfer or anything to get them across your devices. It all happens automatically. Not only will this record audio directly into a Keep note but it will also turn it into text! Phenomenally powerful for students who find it difficult to write, or for you to record your ideas on the run! If you want to record a longer piece of audio you can use the inbuilt recorder in your phone and it will work with Keep to turn this into text. If you say ‘full stop’ without pausing after a word it will even understand this and put the punctuation mark in for you. DOING STUFF WITH YOUR NOTE! Once your note is created you will see this menu at the bottom of the note. Set reminders to go off at certain times or locations. You can select from preset dates and times or customise your own. You can even set the notification to go off when your linked device is at a particular location. Get the grocery list to automatically appear on your phone when you walk into a supermarket – or show your students how to set notifications about assignments or things they may need to remember to bring into school. These reminders will pop up on any linked devices which have location sharing settings that allow notifications. Once you’ve created a note it’s really easy to share this with your colleagues or students. Simply click on the collaborator symbol then put in the email address or name of the contact group of who you’d like to share this with. They will be able to edit the note. If you delete a note that you created it will be removed from everyone’s Keep. A great tool for sharing activities or links with your students. They can then copy the note, adapt or complete the task and share it back with you. If you’re a visual person you’ll love the ability to add a colour to them. You can also search for notes of a particular colour so this can be used as an alternative, or alongside labels. That one pretty much explains itself! No need to delete your notes – you can archive them so they are taken off the main Keep view but are still accessible. When you click on this you will see these options. This is an impressive function. 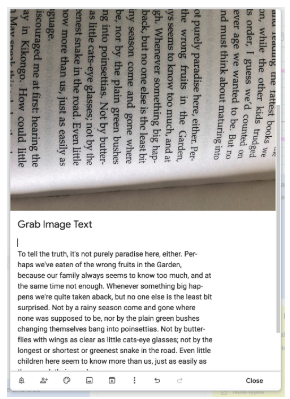 It allows you to take a photo of text (e.g. a document) and have it copied as an editable text. Sometimes it’s not perfect but it does a pretty good job! 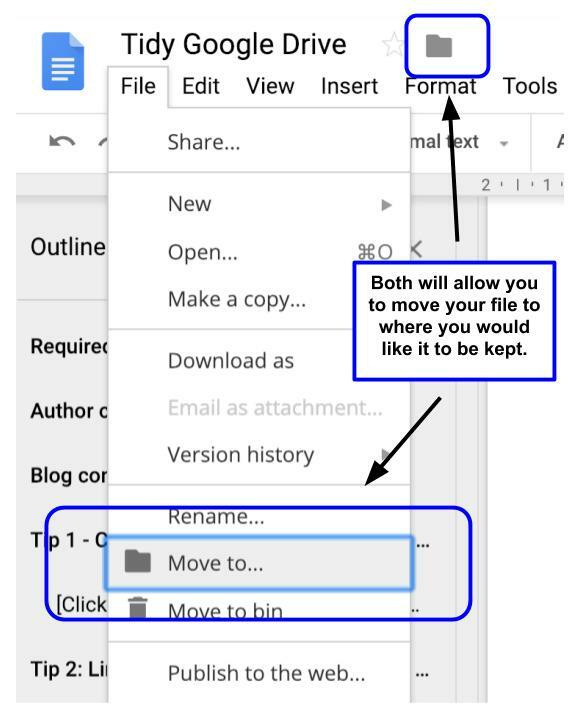 By clicking on this option your note will be transferred to a newly created Google Doc. You can also open Keep (from the sidebar with Calendar and Tasks as well) while you are in Docs and bring content in from there. 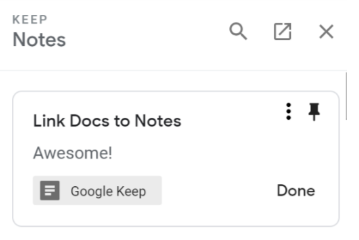 If you are working on a Doc and then open the Keep widget from the side panel and click ‘Take a note’, your Doc and note will be automatically linked. As it’s Google, the search power is pretty awesome. Even if you haven’t included the exact word it will scan the notes for anything which may be related, as you can see in this ‘food’ search below. 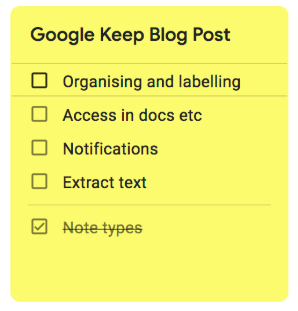 Hopefully, this has given you a bit of an intro to Google Keep. I really love this tool and find myself using it more and more to improve my organisation and efficiency. Have a go at exploring it and see how it works for you! 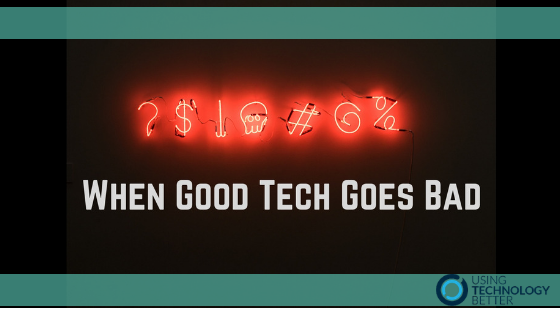 For more great blog posts and to see if there are any events coming up near you check out the Using Technology Better website. In early October 2018 I was fortunate enough to present a few sessions at uLearn, New Zealand’s largest education conference. During my sessions I definitely had a few struggles when it came to my tech. My computer is due for an upgrade and at times struggled to move through my slides, the internet was patchy and far more often than I would have liked it meant that things didn’t go my way! At the start of this year (when I was brand new in this role) this would have made my palms clammy, my blood run cold and would have totally thrown me off the game. My mindset was that I needed to be perfect and as a “digital trainer” I should be able to manage and control every small detail about the tech that I was using. At this point in the year, I am so much calmer and more accepting when things don’t go as planned. We can’t control everything. Anyone who’s presented to a group of people, whether it’s students or adults, whether it’s education or corporate events, will understand that things go wrong. Things that worked perfectly the evening before when you did your test run, now are misbehaving like a two-year-old in the lolly aisle at the supermarket. What’s great is that with a calmer mindset I’m much more likely to be able to troubleshoot and solve the problem. And if I can’t – well, I should know the content well enough to talk about it and demonstrate without it until it’s sorted. There’s a level of responsibility when it comes to presenting to people who have chosen to be in a room with you – and quite often have paid to be there. It’s still quite a strange feeling to me that people want to come and hear what I have to say or to show them. I want to make sure they walk away and have no regrets about their choice. Time is valuable and I owe it to the teachers who have given up their holiday time to listen to me to make sure they walk away with some valuable takeaways that will make their life better. So what can we do to try to limit the panic when tech goes wrong, which it inevitably will! I hate to admit this but I’ve been watching ‘The Bachelor Australia’. It’s cringeworthy but I just can’t look away. Please don’t judge me! The Bachelor on this season is Nick Cummins, better known as The Honey Badger, an Australian rugby player. He has a saying that I think is great…. ‘Prior Preparation Prevents Piss-Poor Performance’. I work hard to prepare for all training sessions. I probably over prepare but this helps me feel confident that I’ve got all bases covered. Teachers are great at this. We all know that when we have a well prepared and thoroughly thought through lesson or unit, things go better. It doesn’t mean all the learning is prepared in advance – that would limit flexibility and authentic learning contexts in the classroom. But, prepare by considering all the students we teach, gathering student voice and ensuring that the experiences we are curating are appropriate and engaging. Making sure that you’re taking advantage of storage in the cloud also helps to ensure you can access your files from any device – even if yours is sitting at home and you’re not, or it had a short lived trip on the roof of your car that ended in a less than desirable result. With cloud-based storage so reliable, cheap and easy there really isn’t a better way to make sure you can get to your files from anywhere. However, preparation can only get you so far – life is unpredictable and when you’re dealing with other humans, even more so! Often a question is thrown at me during training and I don’t know the answer. This would have made me panic at the start of the year. Now I honestly embrace a question that I don’t know. It means it’s probably going to add to my understanding, challenge my own thinking or change my perspective. I genuinely love this when it happens. I love it even more if I can’t Google the answer. The way a teacher responds to these types of questions/challenges from students in the classroom is so important – the look on an 11 year old’s face when a teacher says ‘Wow, I haven’t thought about it in that way before. That’s an excellent question and you’ve really challenged my thinking. Let’s discuss this more’ is priceless. Truly valuing their thoughts and demonstrating that you are a learner is powerful. Embrace it. Accept that you are not in control of everything. Anyone who knows me well will know that this is a challenge for me. I like things to be perfect. If we’re going for lunch you can bet I’ve already thought through the streets we’ll walk down to get there, where I’d like to sit and probably already decided what I’m going to order. So when my slides freeze in front of 50 people, it’s hard not to panic. Don’t get me wrong – I’ll have a good go at fixing it. Where suitable, you can get your students to carry on with something else while you get it sorted. But sometimes that’s not suitable. You either have to fight it or flex it and go with the flow. I had a group of incredibly clever maths students one year – the level of their learning was something really out of my comfort zone. I’d prepared and thought I had it nailed. When I was with them I very quickly realised that I’d got something drastically wrong. These kids and I tried really hard to work it out together, but I’m pretty sure I was confusing them more. I asked them to stand up, back slowly away from the table and pretend it never happened. They laughed and did this. I did some more work on this, so did they, and the next day we all worked through it together. I know they respected me more for this. Accept that things are going to go wrong and have a back up plan. When I interviewed with Using Technology Better this was one of the questions I was asked – what will you do when the tech stops working? It happens to us all. In classroom when things go wrong with tech, use it as an opportunity to model problem solving. If you can’t find a solution in a reasonable amount of time or you’re feeling super frustrated, take a break and come back to it later. Your brain is far less likely to find the issue if you’re feeling stressed. Build a great network of people that can support you. Do this within your school or digitally across other schools. As I’ve said, I feel very different when working with teachers now than I did at the start of the year. It’s really cool to look back and reflect on how much I’ve learnt. I owe a lot of that to the awesome team of trainers that I work with who are always there to be supportive and answer any questions – no matter how thick I feel when I ask them. During training, or any time I have a question I can’t answer I put it out to the team and within minutes I’ll have a few responses – while we work remotely I never feel like I’m alone. Being part of a team who share my passion for education, have masses of knowledge and experience in facilitating is an absolute dream. Mike, Sam, Adrian, Donna, Mark and now Tim – you guys are awesome. Want more tips and tricks? 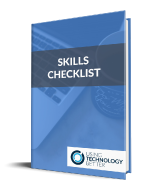 Head over to the Using Technology Better website, check out the other great blog posts and find out when the next event is on near you. 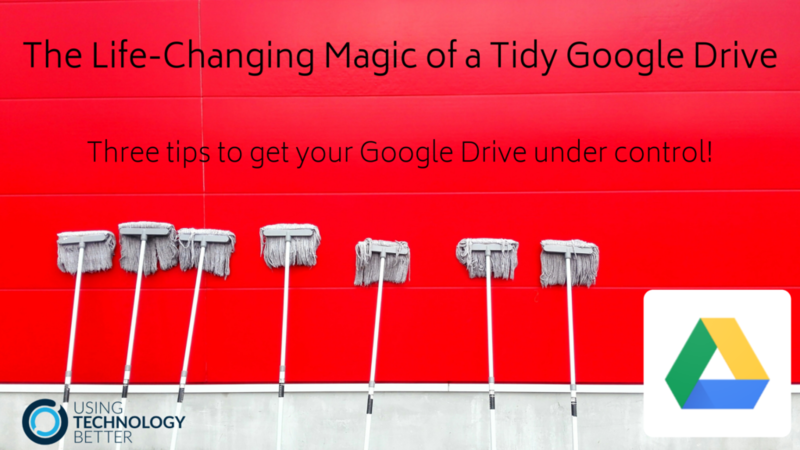 The Life-Changing Magic of a Tidy Google Drive – Three tips to get your Google Drive under control! If you’re anything like me your Google Drive can sometimes get out of control. 57 ‘Untitled Docs’, 123 folders under ‘My Drive’ and don’t even get me started on ‘Shared with me’. Here are three simple tips to help you get your Drive under control for the new year. Fifteen minutes is all that is needed to get you feeling like a digital Marie Kondo. Tip 1 – Create an Archive folder – it’s a bit like hiding all the mess in the cupboard! If you find yourself with a mass of unnamed files and folders sitting in your Drive, simply move them all to a folder that you create simply as a storage space for this purpose. This means you don’t need to sort through and organise them. Have a quick scan (open grid view to do this so you can see a preview) and move any that jump out at you to keep to the appropriate folder, then select all the rest and move them to your the folder you have created. I have a folder called Archive that I keep inside an Admin folder. If you do this you’ll still be able to find the files easily at a later date and then you can save them to where you want them if they are still relevant. Otherwise, they can sit there and be forgotten forever! NB: Select the whole range by clicking the top file, then hold down on shift and click the last file you want to select. Select files that aren’t in order by holding down command (Mac) or Ctrl (PC) and clicking on multiple files. Disclaimer – I’m pretty sure Marie Kondo wouldn’t approve of this kind of ‘sweeping it all under the rug’ approach. She’d probably suggest you look at each file and ask if it brings you joy – but who’s got time for that! If you haven’t heard of Marie Kondo or KonMari you can check it out here. I try to make sure that I can see all the folders that live inside a parent folder without having to scroll. This means some careful thinking, especially for the first parent folders under My Drive, for the initial set up. I’ve found that I can break everything down into just a few categories and try to stick with it. This means I can quickly navigate between folders. When I start to have to scroll I have a re-sort and try to limit myself to 10 folders within anyone one folder. There’s loads more folders within them of course – but only 10 each! Switching to grid view is another way to get an overview of the folders you have. Add another new year’s resolution to your list! Make an effort to always create your files and folders where you want them to live. I try really hard to navigate to the folder where I want the file to live, either make it in that parent folder or make a new folder, then make the Doc, Slide or Sheet. If you forget to do that and you’ve already made it you can quickly move it from the file menu or the folder icon beside the star at the top of the Doc, when it is open. This will help you to avoid all the random Docs everywhere later on. Make it part of your habit to name the files immediately. You can always rename them later but don’t let that Doc become another one of the thousands of unnamed, unloved, lost docs out there. No matter what age your students are or what subject you teach, please, please, please make sure you share these simple tips with them. They are going to live their lives in a digital world and need to know how to keep things organised and efficient. Computational Thinking is all about logic and reasoning. Sorting and organising files and folders into directories links directly to this. You could help your students to make logical choices about how they structure their online environment in the same way that you expect them to keep desks or spaces within the classroom organised. When I was teaching I would set aside time every few weeks for my students to sort their Drive (and their inboxes). Like every other skill, they need guidance and time to practice so that they form good habits. 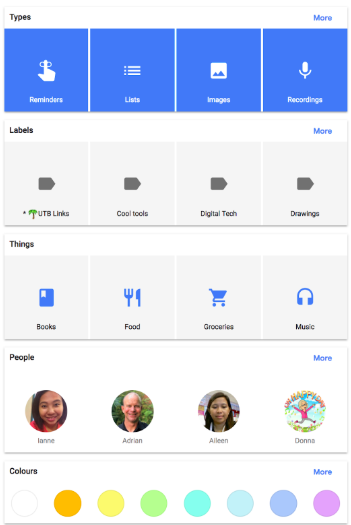 How do you organise Google Drive’s Shared with me? 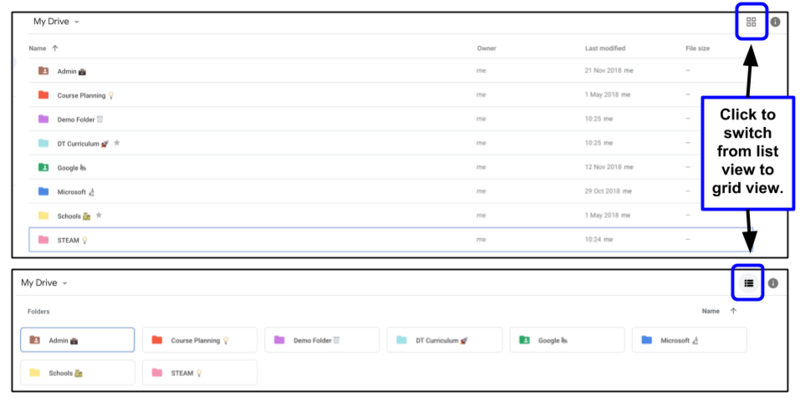 How Team Drives solves one of G Suite’s biggest problems. So, be like Marie Kondo – get your files sorted and ready for an awesome 2019! Coding is a great way for your students to put computational thinking into action. 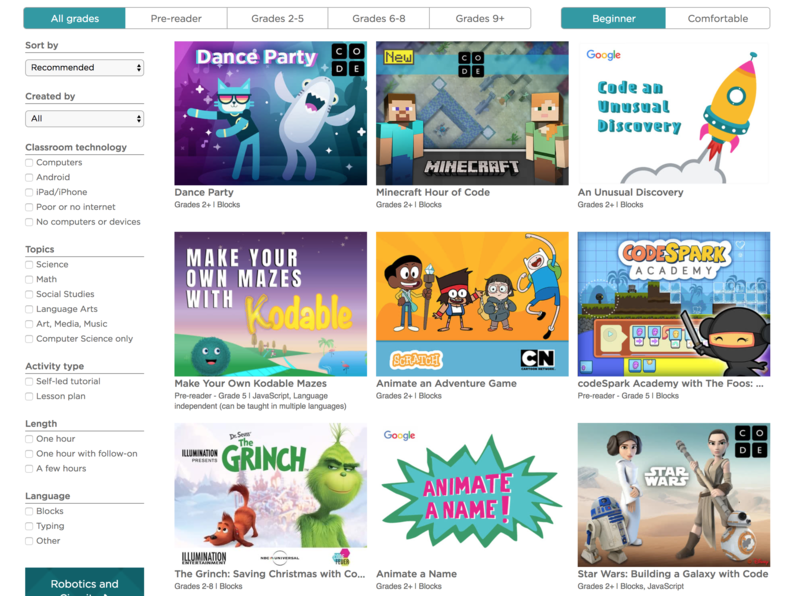 The Hour of Code resources are an exceptional place to explore and be guided through some coding activities. And they’re FREE! Awesome for teachers who may be feeling uncertain and great for students to get stuck into some cool coding challenges as the tutorials are clear and easy to follow. Computational Thinking is one of the two new areas in the New Zealand Digital Technologies Curriculum and is an important part of Digital Technologies curriculums around the world. 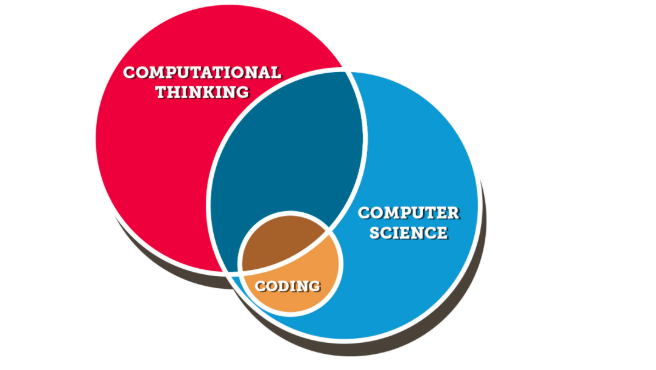 Coding is a part of computational thinking and computer science. It’s where students can build their own programmes and watch their code come to life. Hour of Code has a range of activities (designed to take around one hour) for all ages of students, subjects and interests. I love how easy it is to search within the website to find what your students need – or teach them how to search for appropriate activities and let them choose their own pathways! With the end of the year coming up for schools in New Zealand and Australia, sometimes class programmes can fall a little flat with all the admin and celebrations often taking place. Keep your programme rich, engaging and rewarding for your students by using Hour of Code. If you know teachers who are feeling uncomfortable and unsure about how to get started – make sure you share Hour of Code with them. Encourage them to sit and code alongside their students to find out what it’s all about. This week is also Computer Science Education Week so a perfect time to get into some coding! Navigate through large Google Docs with ease by making use of page breaks and Document Outline. No more scrolling and searching to find sections, just simply click and let Docs take you where you want to go. 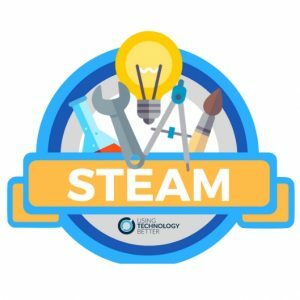 We had a request for a blog post about how to get STEAM up and running in a primary classroom and what tools are worth exploring – thanks Karen Evered! I’ve had a look back through the archives of our blogs and found some great ones you may want to check out. Why the ‘why’ is critical for your school’s STEAM learning programme. The key theme across all of them is to make sure you know what the purpose of your programmes are and how they will enhance and extend the learning that is already taking place in your classrooms. How will they add value? In terms of tools – there isn’t one tool to rule them all! In fact, there is so much STEAM learning that you can do without needing any electronics or digital tools at all. If your school or team is ready to start spending some money on equipment however, it is vital to make sure that what you are buying will fit the purpose of what you are trying to do. This brings you back to your ‘why’. We want students to be comfortable using the tools and not afraid of breaking them so make sure that you look carefully at the durability, scalability and cost price of the what you invest in. The rate of change across all things digital is so fast that what is the best tool now may not be the best tool in twelve months time. The tools are there to enhance the learning experience and computational thinking, not to guide it. And with that in mind it’s a good idea to ‘try before you buy’. Make a connection with people already using the tools and find out what for, why, and how that’s going for them. Social media and online communities are a great way to connect with other educators. One of my favourite tools that I use in training all the time is the BBC Micro:bit. It meets all the requirements listed above and can be adapted for a huge range of lessons and abilities. 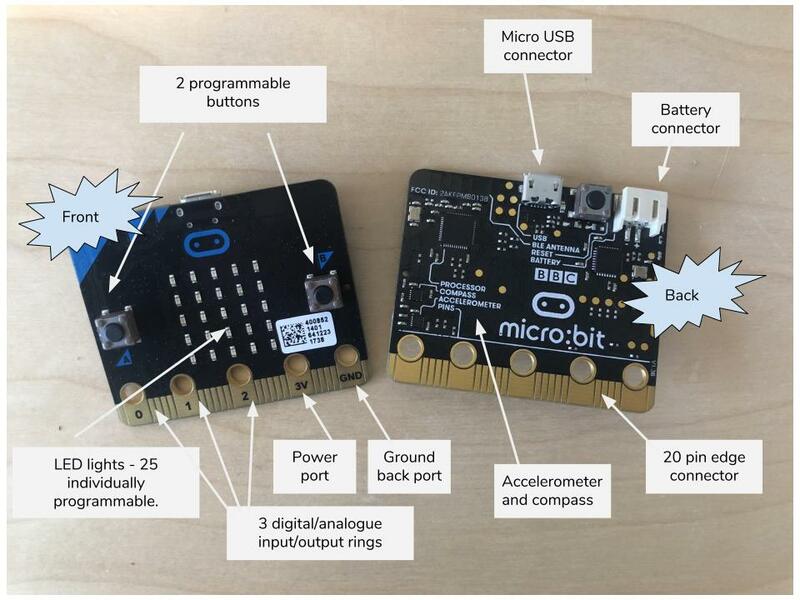 Check out Donna’s post about how to integrate the Micro:bit into the classroom here. For me, the most important thing when you are trying anything new in your classroom is to ensure that you are modelling being a learner yourself. How do you show that you are learning alongside your students? How do you celebrate when students have struggled, failed, persevered then achieved? STEAM learning provides so many opportunities for this and the development of 21st century skills. In New Zealand we talk about the concept of ‘Ako’ – reciprocal learning, where students and teacher interchange the role of leading and learning. Their experiences, culture and prior knowledge are all valued and incorporated into the learning. Having a positive relationship with your students, where respect goes both ways and learning is celebrated makes learning experiences richer for everyone. Much of the anxiety teachers feel around STEAM or Digital Technologies is due to their concerns about whether they are confident and competent enough to teach what is required. Seeking appropriate support, training and guidance is vital for schools to implement change in a positive way. Identifying lead teachers in your school that can model and guide other staff will help to ensure that STEAM and digital technologies are integrated across the curriculum and not just taught as one off, specialised lessons. We can’t expect teachers to do the jobs they do in the classroom and learn new content, in what may be a totally new subject area for them, without providing the framework for support. Encourage staff to seek out courses, in person or online. Encourage teams to set goals then work towards them together. Encourage teachers to talk about their concerns then try to help them find ways to work through them. If teachers can’t see the value in what they’re doing then they’re unlikely to stick to making changes when the process gets hard. So, thanks Karen for the request! I hope that helps! It would be great to hear from other teachers about what has worked, and not worked, in their schools. Please comment below or if you’re part of online community jump into the forum there! If you have any requests for blogs please let us know here!